If, for some reason, you haven’t seen the movie, here’s a crash course. 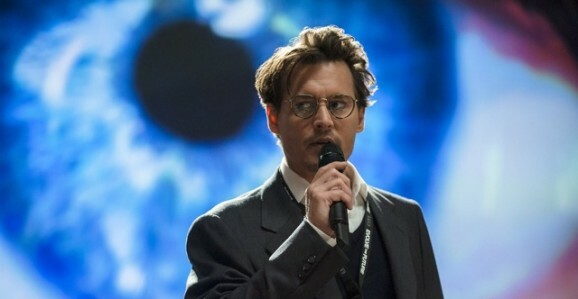 Transcendence is the story of Dr. Will Caster (Johnny Depp). On the verge of making a huge leap forward in artificial intelligence, a radical anti-technology group gives him radiation poisoning. As his body deteriorates, his research partners—his wife Evelyn (Rebecca Hall) and BFF Max (Paul Bettany)—rashly attempt to upload his consciousness into a supercomputer. The results are not good, and Will’s mind, now free from his mortal body, grows exponentially, taking over, pushing technology ever forward, playing with nanobots, and generally getting up to no good. When Johnny Depp takes a role in a film, I often assume the decision is based on a fine balance of money, interest, and abundance of time spent in the makeup chair. 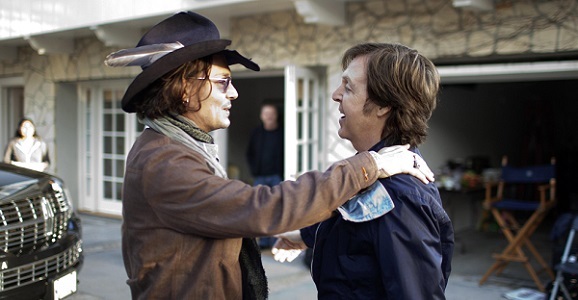 That may have been the case with projects in the past, but Depp’s new film Transcendence was born of a different reason, and it’s all tied to one of the greatest living musicians on the planet: Sir Paul McCartney. Wally Pfister has photographed some of the most beautiful, visually stunning films in recent memory, movies like Inception and Christopher Nolan’s Dark Knight trilogy. His first turn at the helm, the tech-thriller Transcendence, can certainly be gorgeous to look at, full of sweeping aerial shots and low-angle close ups of nature, but the rest of it is a flat, stiff imagining of the worst-case scenario. 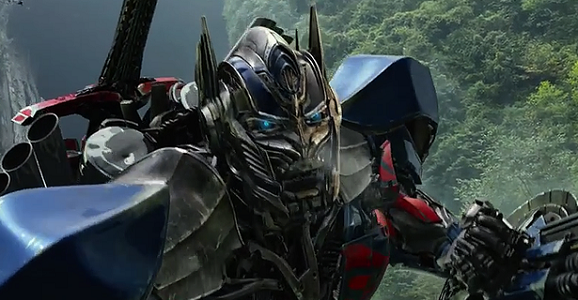 Marketed as a sci-fi actioner, Transcendence couldn’t be farther from that. Anyone looking for an accelerated tempo will be sorely disappointed. There are really only two action scenes, both near the end, neither of which is particularly long or intense. In fact, the latter portion shoehorns these sequences into a film where they don’t particularly fit or belong. Wally Pfister’s artificial intelligence adventure Transcendence is less than two weeks away, and the closer we get, the more information we’re getting. There have been posters, viral videos, and photos galore, and while yesterday brought us a new TV spot, today we have seven, yes seven new clips from the film. Pfister’s directorial debut follows Dr. Will Caster (Johnny Depp) as he tries to advance AI to a point where it will eclipse all human intellect. That’s a terrifying prospect, to be sure—how many times have we seen such technology run amok on TV and in movies—and there are, understandably, segments of the population that are less than enthusiastic about what others view as progress in this arena. When a radical anti-tech group attempts to assassinate Will in order to stop his research, his wife Evelyn (Rebecca Hall) and best friend Max (Paul Bettany) upload his consciousness into a super computer. Once inside, his intellect and power grows exponentially, until he’s on the verge of taking over, like Lawnmower Man, but hopefully with better special effects. I don’t know all that many scientists in real life, they tend to have better things to do than hang out people who spend most of their time talking trash about movies online. As a result, most of my conception of who they are and what they do comes from various media portrayals. Damn it if nearly every scientist in movies on and on TV isn’t intent on exceeding the bounds and boundaries of our biological selves, with playing God, and as you probably know, at least on screen, that rarely ends well for anyone. From what we’ve seen, Wally Pfister’s Transcendence is going to follow this genre logic, a point that this first TV spot drives home big time. The latest video from Warner Bros. lays out the basic thematic concerns and some of the plot points. Those pesky bodies and that whole mortality thing are always getting in our way, but if Johnny Depp’s Dr. Will Caster has anything to say about it, that’s not going to be an issue much longer. He envisions a future where machines will have a full range of emotions, much like their human counterparts. In general, he thinks he’ll be able to “overcome the limits” of our biology and create an artificial intelligence that will become greater than the collective intellect of everyone on Earth.